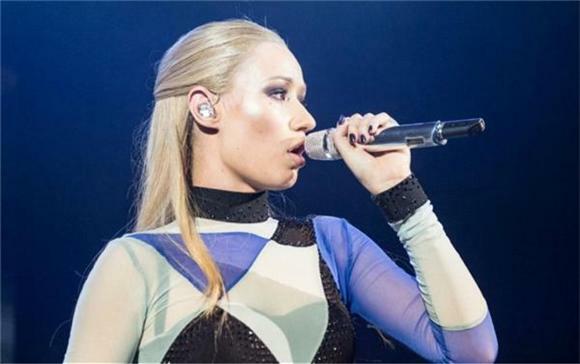 Iggy Azalea is seemingly on top of the world. She had a break out year in 2014, skyrocketing to music's A-list and collecting multiple Grammy nominations. While her time in the spotlight is a dream come true, it is currently being overshadowed by Temporomandibular Joint Dysfunction (TMJ). The rapper took to Twitter to wish her fans a Happy New Year and dropped news of her diagnosis. The stress related disorder can cause temporary or years of severe pain the jaw...not the best news for someone whose livelihood depends on use of their mouth. "I don't think western medicine all the way acknowledges what a huge toll mental stress takes on our bodies. But I do believe it is a factor." she tweeted. "Anyhow I don't think it will ever prevent me from doing anything I want to but it has made me realize it's important to look after yourself." While she's taking it all in stride, Iggy has resolved to steer clear of drama in the new year and take better care of herself to avoid flare ups. Good news for fans who wouldn't be able to live without new music from I-G-G-Y. Here's hoping she has a healthy and happy new year.